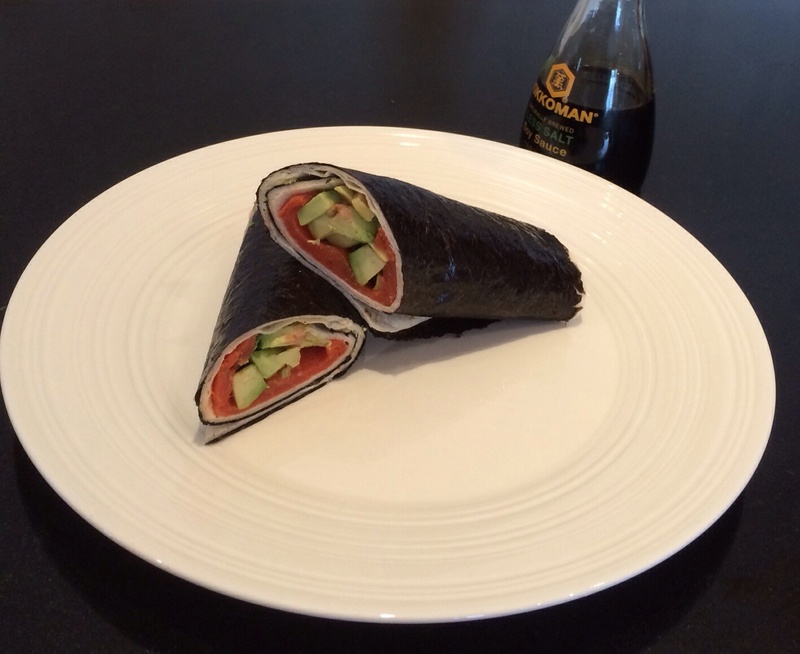 A delicious seaweed wrap sandwich filled with salmon and avocado. 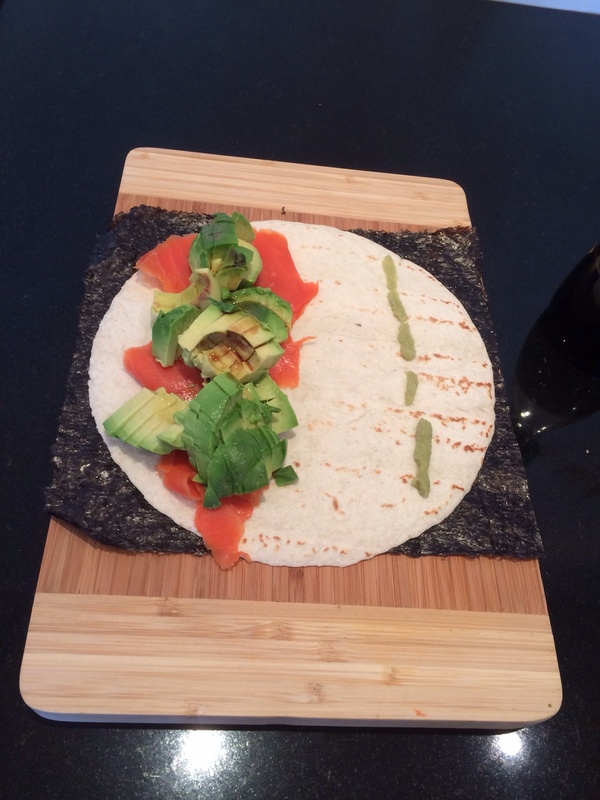 A really yummy fresh tasting sandwich with avocado, salmon, wasabi seaweed and soy. Place a sheet of seaweed on a chopping board, place the wrap on top. 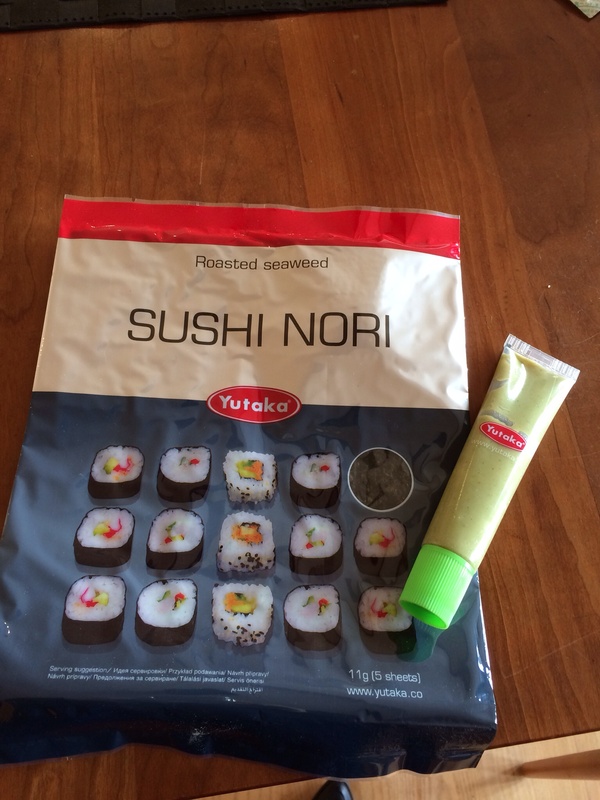 Then add a slice or 2 of smoked salmon, a small avocado, a little soy sauce and a little wasabi paste. 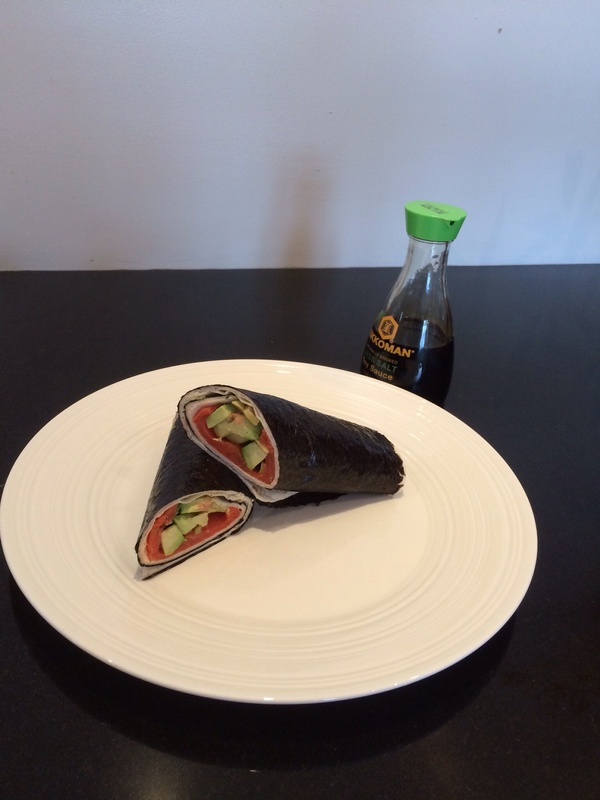 Roll up firmly from the ‘ingredients’ end and cut in half diagonally. Delicious!